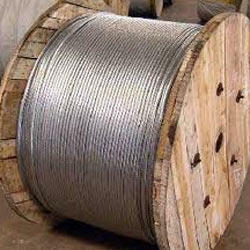 Providing you the best range of stay wires and galvanized iron stay wire with effective & timely delivery. With huge technical knowledge & industrial experience, we are exclusively involved in offering a wide array of Stay Wires. Our offered products are manufactured using optimum grade raw material and advanced technology in adherence with universally accepted norms at vendors' end. The products offered by us are in great demand across the nation and are available in variety of thickness and length as per the requirement of our clients. Further, these are used in the establishment of railway signals, electric poles and other related options. 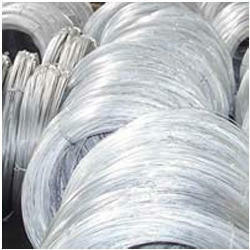 Our firm is documented as manufacturer, exporter, and supplier of an exclusive collection of Galvanized Iron Stay Wire. The offered iron stay wires are precisely designed by our hardworking workers. We keep our developing procedure always updated along the changing market trends in order to fulfill the customer’s demands. Along with this, these iron stay wires are provided with different specifications & various packaging options. Looking for Galvanized Iron Wires ?